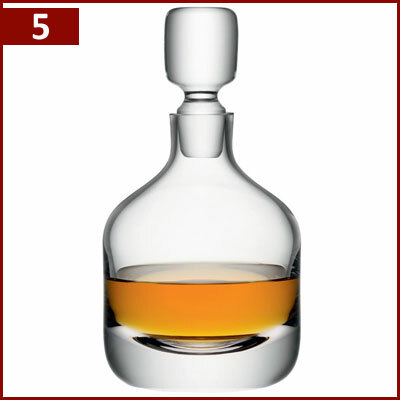 Wineware’s Top 5 Whisky Gifts for Christmas Gifts 2015! There’s just 30 days to go until Christmas is here! Present buying is well under so our Top 5 Whisky Gifts for Christmas should help you with some great ideas for the whisky enthusiast in your life! We have a great and varied selection of ideal Whisky gifts, from perfect whisky glasses like the Glencairn Official Whisky Glass, to spirit decanters, aroma nosing kits and more. Our selection of whisky glasses start from as little as £4.95, we cover all types of budgets so whether it’s just a small present or a large present, finding the perfect whisky gift will be easy with Wineware. One of our best selling whisky glasses this Christmas will undoubtedly be the Glencairn Official Whisky Glass. This glass stands out from the crowd thanks to its shape and design and can be found all over the world, in whisky bars and in the hands of sommeliers as it offers a fantastic nose and tasting experience for all types of Whisky, especially scotch! We offer this glass in a great selection of different sets and packaging types, whether you’re after just one glass in a gift box or four glasses in bespoke gift box, so why not treat the whisky in your life this Christmas to the ultimate glass for whisky! 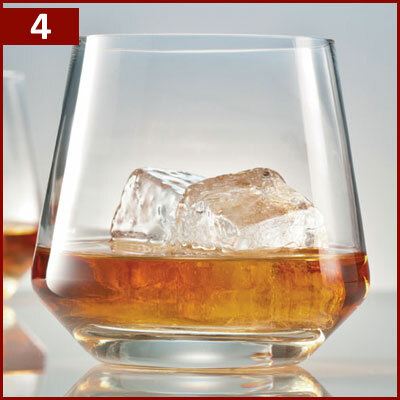 This set of two whisky glasses are part of the famous ‘O’ range from glass making powerhouse, Riedel. They are perfect for those who enjoy their Whisky ‘On the Rocks’ as the 430ml capacity bowl allows plenty of room for both the whisky and ice. Thanks to the size of the glass, you could also use this as a mixer for other spirits if required. 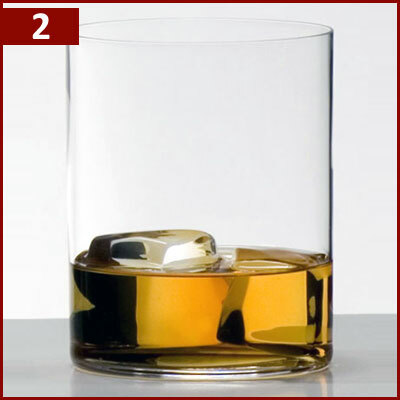 This stylish glass is lightweight & easy to grip / hold, unlike your traditional whisky tumblers that have a thick, heavy base, this glass has a more modern / sleek take. 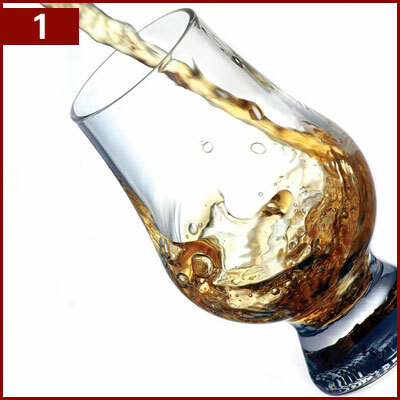 Made entirely by machine, this glass is non lead and dishwasher friendly, making them a great gift for keen whisky drinker! Did you know that 95% of flavour is due to the sense of smell? Well tasting and drinking Whisky is no different, so training your self using this set of 24 aromas is perfect for experiencing all the different smells famously found in Whisky! You’ll be able to recognise the most commonly found aromas in Whisky using this kit from aroma experts Aroma Academy. The Whisky nosing aroma kit contains 24 aromas, a guide and training manual, blank aroma strips to dip into the 24 pots, as well as a aroma / flavour record sheet that also incorporates a fun Whisky Aroma Quiz to test yourself! This set of six whisky glass tumblers hold up to 389ml of liquid, so there’s plenty of room to add a drop of water or a couple of ice cubes if that’s what you prefer when drinking whisky. Made by machine using tritan crystal, they are part of Schott Zwiesels ‘Pure’ range which incorporates the angled bowl on all of their bowls. This in particular makes the whisky tumbler really easy to grip and hold when using, allowing you to gently warm up the whisky if required also. This set of six would be ideal for a keen whisky enthusiast looking for something slightly different to the standard whisky tumbler. Every keen whisky enthusiast should have a spirit / whisky decanter proudly sitting in the kitchen or dinning room! These traditional decanters allow you to store your whisky (or Cognac, Brandy, Port!) in style, the heavy thick bases make pouring a glass of whisky more fun! All of our spirit decanters have large tops/stoppers which stops any unwanted air or particles mixing with the liquid, it also means you can keep your spirit in a decanter for a long period of time. Whisky doesn’t change or age when stored in a decanter, so it can’t be harmed. If you can’t decide which whisky gift to get your loved ones, let them decide with a Wineware Gift Voucher instead! They can then choose the perfect whisky glass, decanter or accessories themselves! You have until 12 Noon on Tuesday 22nd December to purchase your Wineware Christmas Gift for guaranteed pre-Christmas dispatch!